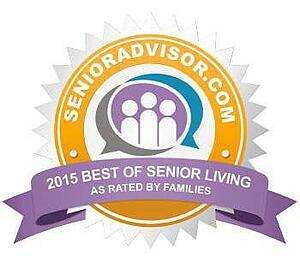 SeniorAdvisor.com, one of the premier ratings and reviews site for senior care and services, has recently awarded Glen Meadows Retirement Community, in Glen Arm, MD, the 2015 Best of Senior Living Award. The award recognizes the nation’s best of the best senior care providers. To qualify, providers must receive an average overall rating of at least 4.5 stars from those who matter most—their families. 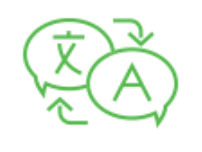 In addition, providers must accumulate a minimum number of online reviews. Finally, award recipients must provide comprehensive senior care services in the areas of assisted living, in-home care, independent living, skilled nursing, and Alzheimer’s or Memory Support. Glen Meadows Retirement Community is proud to be honored for its continued service and work with seniors. Glen Meadows is also the first senior care provider in Maryland to offer Masterpiece Living, a series of programs which enable residents and employees to work together, focusing on the program’s four pillars: social, physical, intellectual, and spiritual growth. Since implementing the program, the staff at Glen Meadows have definitely seen the quality of life for residents improve. "As I walk around Glen Meadows, I frequently observe staff and residents empowered and engaged in leading purposeful programs such as French for Fun, Art Club member's painting, competitive chess matches, residents and staff joining together in different community outreach initiatives. All this energy reinforces our culture of successful aging," says Peter Dabbenigo, who serves as Executive Director and understands the importance these services have on community life. Masterpiece Living has allowed the community to adapt a systematic and strategic approach to wellness. Empowering personal growth and a healthy aging lifestyle is at the program’s core. It’s because of this, and the community’s many other offerings, that residents and family members love living here and have nominated Glen Meadows Retirement Community as one of the top senior care providers nationwide. Schedule your tour of Glen Meadows Retirement Community and discover why so many have chosen to make it their home.